When the Koch brothers, President Obama, and Newt Gingrich unite behind a cause, political magic is in the air. Even as debates about policing still rage, Americans from the right and left have found common cause in ending mass incarceration, which drags down the economy, devastates communities, and costs taxpayers $80 billion per year without providing a decent return on investment. The FBI's most recent statistics showed an across the board drop in violent crime, which has reached the lowest levels recorded since 1978. But the hardest questions have yet to be asked. Certain aspects of prison reform foster agreement across the ideological spectrum: excessive sentences for drugs must be reduced; overuse of solitary confinement does more harm than good; once-popular "three strikes" laws end up brutally punishing minor infractions. And then there are the tougher problems, like what to do about violent crime. Last summer, the Urban Institute released a "Prison Population Forecaster," which reveals some uncomfortable truths about the steps required to end mass incarceration. This tool allows users to pick among various policy changes for different categories of crime, and then track the effect each policy choice would have on the total prison population in the United States. For example, its calculations predict that reducing the length of prison stays by 50% for drug offenses would reduce the total prison population by just 7% by 2021 - a surprisingly modest drop. On the other hand, a 50% reduction in the length of prison stays for violent offenses could reduce the prison population by 16%, more than twice the effect. As much as we might hope that ending the drug war would drastically reduce mass incarceration, the Prison Population Forecaster suggests that reducing the number of inmates in U.S. prisons may require additional steps that are unthinkable now, just as reducing penalties for drugs may have seemed unthinkable at the height of the War on Drugs era in the late 1980s and '90s. In 2014, California's Proposition 47 forced the state to release 13,000 inmates by reclassifying certain drug and property offenses from felonies to misdemeanors, and the results in the first year have been encouraging. The recent releases have eased overcrowding, saved the state $150 million, and resulted in only 5% of the released inmates returning to prison. Most policy proposals for stopping violence do not require releasing violent offenders, or a wholesale reduction in sentencing. The best solutions involve preventing criminal violence in the first place, so that fewer offenders wind up in prison for crimes that carry long sentences. For example, strategies like CompStat have allowed police to use statistical models to pinpoint areas where violence is likely to erupt. Communities around the country have achieved historically low crime rates by flooding troubled areas with police ("hot spot policing"), installing gunfire locators and surveillance cameras, and placing floodlights lights in high crime areas at night. Some cities have experimented with empirically proven techniques like gang violence interruption, in which former gang members reach out to feuding youths to prevent violence from spreading. The common theme is focusing resources on those relatively few individuals, living in highly concentrated areas where the most serious offenses are committed. Even with the political wind at their backs, politicians will need to come up with smarter arguments to address violent crime. Department of Justice figures demonstrate that young people age 16-24 consistently commit violent crimes at the highest rates. Once people age and mature, they are much less likely to commit crimes, which makes releasing older inmates less risky. The population of elderly inmates in the United States has exploded 1,300 percent since the early 1980s; the number of inmates 55 or older could reach 400,000 by 2030. A just society must ask whether the cost of incarcerating elderly people for acts done when they were practically children makes sense. While keeping violent offenders in prison might keep them from committing more crimes (or at least ensure that those crimes are committed inside prison walls), there is growing evidence that warehousing people indefinitely is too expensive and ineffective at preventing crime. 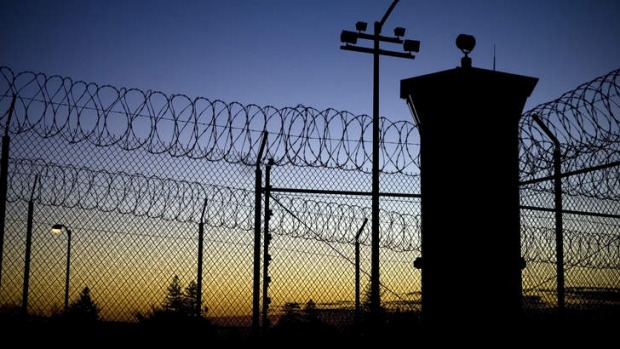 Finally, several studies have found that the length of a prison stay has virtually no effect on recidivism; about 25% of people who go to prison are not rearrested within five years, regardless of variations in the length of their sentences. The law of diminishing returns applies to punishment: longer sentences definitely cost more tax dollars, but do not often reduce the likelihood that people will commit crimes when released. Social scientists are helping us understand how violence spreads through communities like a virus. By understanding violent behavior as a practical problem to be solved, rather than just a moral problem to be punished, we can focus on interventions that will prevent more people from being victimized, and stop the spread of violent crime before it becomes epidemic. Instead of answering to demands for vengeance, or fearing the next Willie Horton attack ad, policymakers must look to the best empirical evidence to make better choices if they want to put a real dent in mass incarceration.